Happy New Year. I hope to see many of you at the JEN Conference this week in Louisville, January 6-9. Our public meeting for the JENRing group is scheduled for Friday 1pm, please come and share your ideas. Our next newsletter will include the updates from the meeting and new initiatives for 2016. Please feel free to pass this compilation on and invite colleagues to join the mailing list and/or facebook page. Remember to check the updated job listings here. We added a new publications feature, if you have new books/ articles/ dissertations published, send me the info to be included in the newsletter. Also send over ideas on how JENRing can help you in your jazz research and networking. Items of interest related to jazz research may also be shared on the facebook page. Haptics, Music for the Hearing-Impaired: At the November 3rd “New Instrumentation for Performance” Seminar at RPI, Henry Lowengard demonstrated the use of large balloons to transmit vibrations of music and sounds. 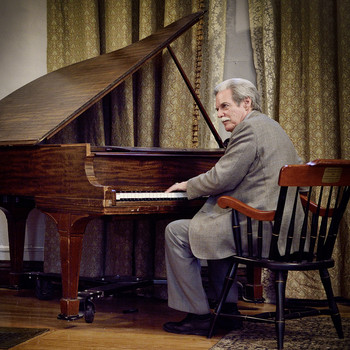 The above links to his project website where he puts much of his research on how to experience music with other senses, primarily, the sense of touch. Related work is going on at the VibraFusionLab in Canada. AUMI, Adaptive Use Musical Instruments: Adaptive Use Musical Instruments (AUMI) software interface is a new musical instrument that enables people who have very limited controlled (voluntary) movement to independently engage in music making. The AUMI software interface enables the user to play sounds and musical phrases through movement and gestures. This is an entry to improvisation that enables exploration of sounds ranging from pitches to noises rather than learning set pieces. 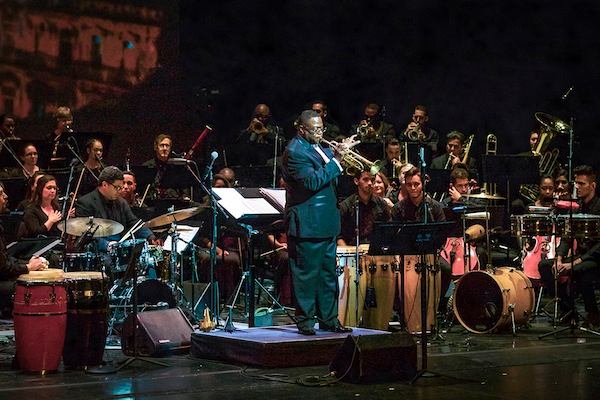 Chicago Jazz Philharmonic, Cuban Players Collaborate in Style: In the decade since trumpeter Orbert Davis co-founded the Chicago Jazz Philharmonic with his colleague Mark Ingram, he has exhibited missionary zeal in disseminating his Third Stream agenda, merging jazz with elements from classical music. But perhaps none of his efforts so far have been as triumphal as the November 13th concert Scenes From Life: Cuba!, which took place at the Auditorium Theatre of Roosevelt University in Chicago. Jazz Journalists Association, 2015 ‘Best of Jazz’ Selections: These are the 2015 "Best of Jazz" lists and commentaries compiled by Members of the Jazz Journalists Association. Christina Przybilla with pianist Joel Forrester on Vince Guaraldi’s Influences for his Charlie Brown music: Christina Przybilla talks to the pianist Joel Forrester about the possible influence of Vince Guaraldi's Charlie Brown music and the definitive influences from Monk, Ellington, Morton, Bach, Beethoven, and Webern, about meeting Thelonious Monk through the Baroness Pannonica de Koenigswarther, about his repetitive composition "Industrial Arts" and how it got him fired from jobs or being told not to play this kind of music 17 times. Institute of Jazz Studies Announces Berger-Carter Jazz Research Awards: Each year the Institute awards up to ten grants of $1,000 each. Half of the awards are designated for students in the Rutgers-Newark Master’s Program in Jazz History and Research and half are awarded to scholars from other institutions or unaffiliated researchers for the purpose of visiting IJS in order to use its resources to further their research. Improvisation and the Syrian Refugee Crisis: In this piece, Paul Watkins discusses the ways in which social and musical improvisation can teach us about the merits of creative risk-taking in relation to the current Syrian refugee crisis. Learning to improvise imbues citizens with the important notion that creative risk-taking makes for more exciting and, while unpredictable to a degree, egalitarian societies. Watkins posits that we can fight the insular mechanics of an improvisation of fear with an improvisation of hope that challenges the anxiety that refugees destroy borders and culture, as if these things are pure, static, given, unchanging, and authentic. When Rivers Meet: When Rivers Meet was an improvised performance that took place on November 29, 2014 at the River Run Centre in Guelph, Ontario, featuring the Guelph Symphony Orchestra conducted by Judith Yan; the Guelph Youth Jazz Ensemble directed by Brent Rowan; musicians Jeff Bird, Daniel Fischlin, and Lewis Melville; dancer Georgia Simms; and storyteller Ben Grossman. 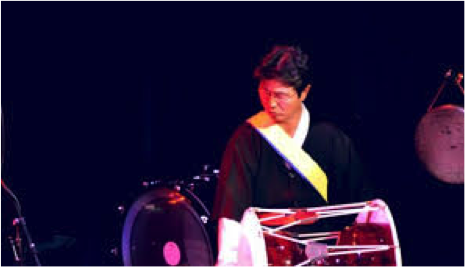 IICSI Improviser-in-Residence, Dong-Won Kim, the world-renowned Korean percussionist and long-time member of Yo-Yo Ma's Silk Road Ensemble, served as conceptor and Artistic Director of the project. Barcode Free Music has now released a fully bilingual (English/Korean) 2-CD recording that features the event’s large-scale group improvisations, traditional storytelling, interc ultural musical forms, dance interludes…even audience participation. Showcasing how diverse elements of a community can come together to make inspiring music using story and movement, When Rivers Meet brought together intergenerational audiences through words, sounds and movement that spoke to young and old alike. ISIM 9th Festival and Conference: The International Society for Improvised Music (ISIM) is happy to announce that its 2016 event will take place in Waterloo and Toronto, Ontario, Canada, hosted by Wilfrid Laurier University from May 12th-16th. ISIM invites proposals for performances, workshops, academic papers, and panel discussions related to any aspect of improvised music. Proposals are due January 15th, 2016.
International Conference on Artistic Research: This year's SAR conference will address writing in relation to artistic research from these perspectives: writing as practice and practice as writing. How do both writing and practice operate as ways to convey new knowledge, understanding and experiences by which we (re)organize our lives? In workshops, demonstrations, performances, discussions, open sessions and on-the-spot encounters we will contribute to the ongoing development of the relationship between practice and writing in the context of artistic research. The conference will take place in the Hague April 28th-29th, 2016. Proposals are due before January 11th, 2016. Engaging Students through Jazz: The Jazz Interest Group’s Pedagogy Committee would like to announce a special project with Engaging Students that will bring together essays that explore how the jazz mindset might enrich music theory training: “Engaging Students through Jazz.” Proposals are due by February 1st, 2016. 2017 JEN Conference in New Orleans: JEN invites you to prepare to submit applications from February 1st-March 31st, 12 midnight EST, 2016 to perform, present a Clinic, Jazz Industry & Music Business Proposal, or Research Paper for the 2017 Annual Conference. More information to come. IISCI-MUN Colloquium: Improvisation as Intercultural Contact and Dialogue is the title of an IICSI colloquium at Memorial University of Newfoundland in St. John's, July 6-8, 2016. The colloquium will explore and critique concepts of interculturality that, although forwarded as processes for peace (UNESCO) might also be seen as techniques for "cultural management." 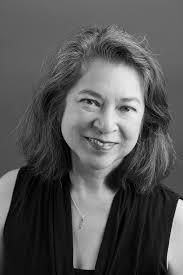 Ethnomusicologist Deborah Wong, from the University of California Riverside, is confirmed as a keynote speaker. Proposals are invited and are due February 15th, 2016. More information can be found by following the above link. College Music Society 37th Annual Regional Conference: This conference will take place in the Birmingham-Southern College in Alabama on February 18th-20th, 2016. CMS Regional Conferences allow participants to share insights and perspectives on teaching, to feature new and unusual musics, to experience regional musics, to discuss American musical life and culture, and to consider future directions for the art of music. College Music Society 46th Mid-Atlantic Regional Conference: This conference is the Mid-Atlantic Chapter of the College Music Society’s conference. The event structure will be similar to above, and will take place February 26th-27th, 2016 at Winthrop University in Rock Hill, South Carolina. Fourth Rhythm Changes Conference: Jazz Utopia is a four-day multi-disciplinary conference that brings together leading researchers across the arts and humanities. 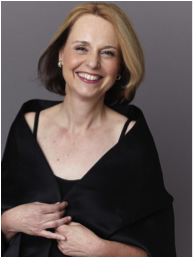 The event will feature academic papers, panels and poster sessions alongside an exciting programme of concerts delivered in partnership with the Birmingham Conservatoire and THSH-Jazzlines. The conference will take place at Birmingham City University in the United Kingdom from April 14th-17th, 2016. Antonio García: “Sub-Progressions as Sub-Targets:” Substitute chord progressions offer some of the most riveting, colorful moments in jazz. But how do you justify them in theory, much less improve upon them in practice? Here is a most practical path that you can demonstrate to yourself or your students in less than an hour. For more information, including audio examples and written-out voicings of each of the harmonic scenarios above, please visit the above link.